Springfield, MO hard rock band T.R.O.Y has released the official music video for their single "Wicked World." 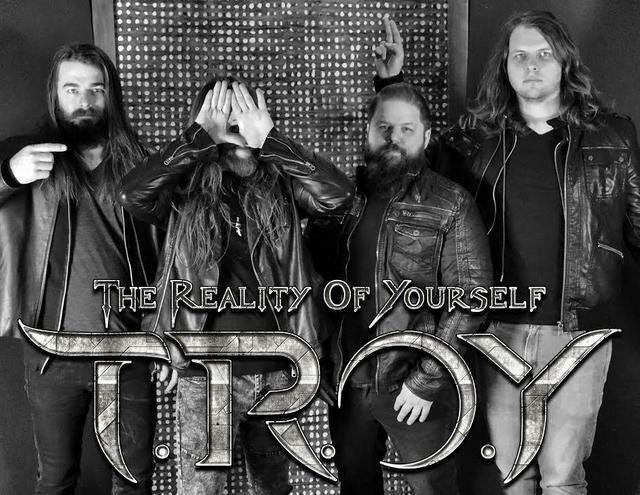 T.R.O.Y (short for The Reality Of Yourself) is an American Rock band that formed in late 2004 in the small town of Pleasant Hope MO. Today the band consists of vocalist and guitarist Cord Bishop, lead guitarist Kyle Girth, drummer Erik Milan, and bassist Kane Ransom. T.R.O.Y’s moniker is inspired by the band's musical perception, and the notion that thought truly manifests reality. The band has released 3 studio albums to date, is known for their gripping live shows, energetic songwriting style, and winning of several battle of the bands within the Midwest region. The original four members grew up and attended school together, creating a brotherhood bond between them and their fans. T.R.O.Y has shared the stage with today's top rock artists, such as KORN, SKILLET, THREE DAYS GRACE, BREAKING BENJAMIN, PAPA ROACH, PUDDLE OF MUDD, CROSSFADE, EVAN'S BLUE, SMILE EMPTY SOUL, THE EXIES, 12 STONES, TRAPT, SUBMERSED, RED, and SHAMAN'S HARVEST, BLACKSTONE CHERRY, NOTHING MORE, & POP EVIL. T.R.O.Y is currently in the studio working on new music, with some scheduled to drop in 2018!